The Aubaine is a French restaurant. 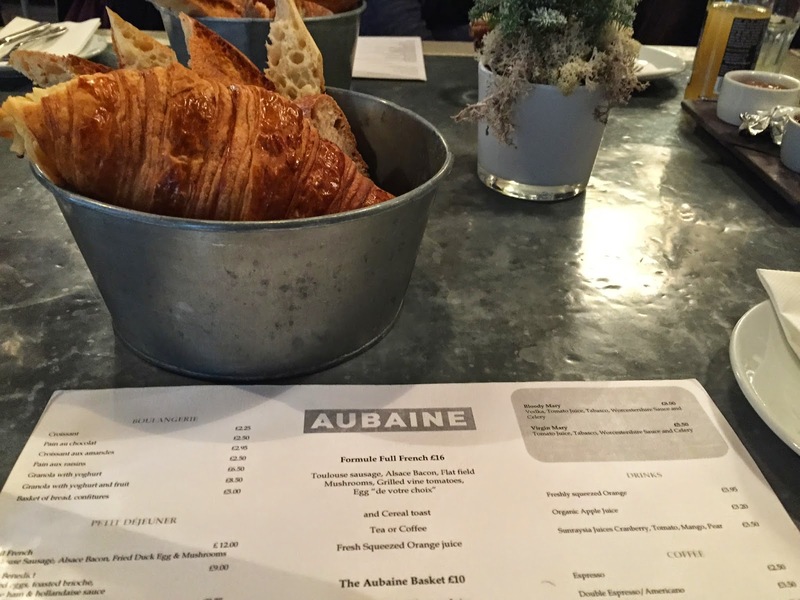 The Aubaine is a great restaurant & the staff were very nice & polite to us all. When we arrived they offered us still or sparkling water. Then the waiters came out with fresh orange juice for all of us & then we all got a tray of croissants & freshly baked breads. 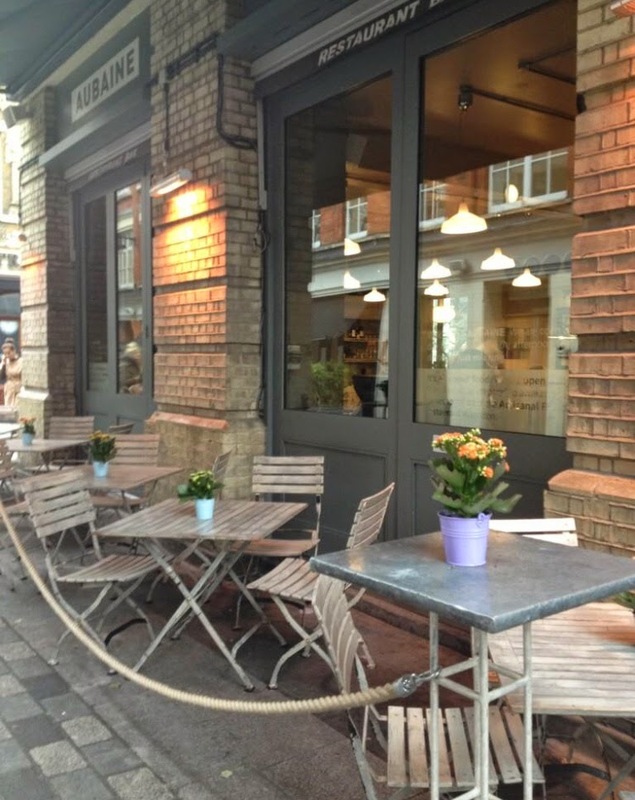 I was very impressed with the food & service in the restaurant. It was great meeting the new Editorial Director Jess Diner. Jess Diner worked for Vogue magazine for 7 years before joining Birchbox. Jess Diner talked about her vision for Birchbox & about what her plans were for Birchbox in 2015. 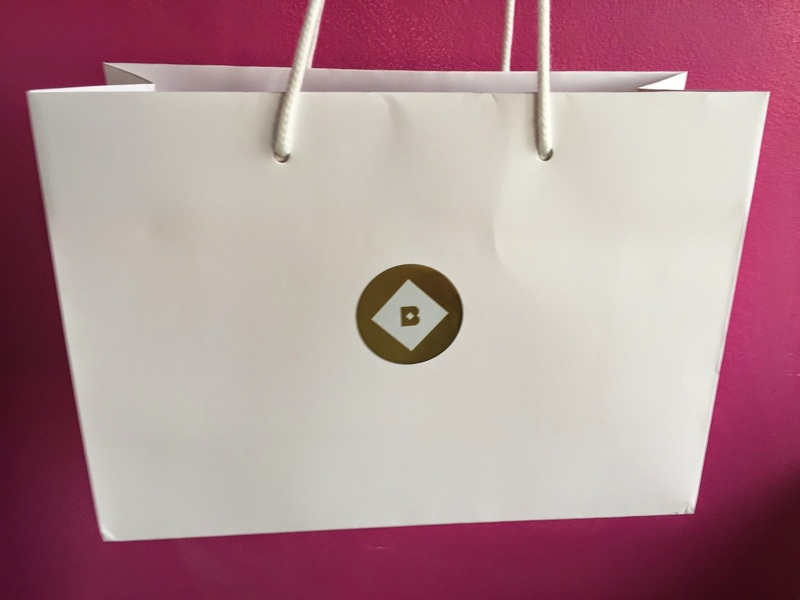 Jess Diner gave us all goody bags full of her favourite beauty products from the Birchbox e-shop. Jess Diner talked about each individual product & told us why she liked them so much. 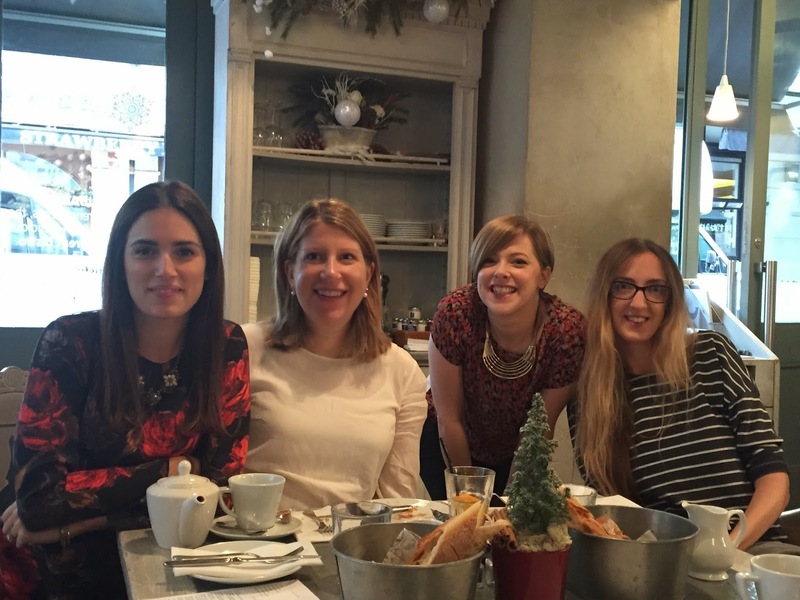 During breakfast a few other members of the Birchbox team turned up to chat to us & ask us questions on what we liked about Birchbox. All of the Birchbox team were really friendly & nice. In the photo above Jess Diner is on the left & the other 3 ladies are part of the Birchbox team. After the #BirchBloggers breakfast I found this photo on Instagram that Birchbox posted of all the bloggers & the Birchbox team. Thanks again Birchbox for a lovely Breakfast!!!! 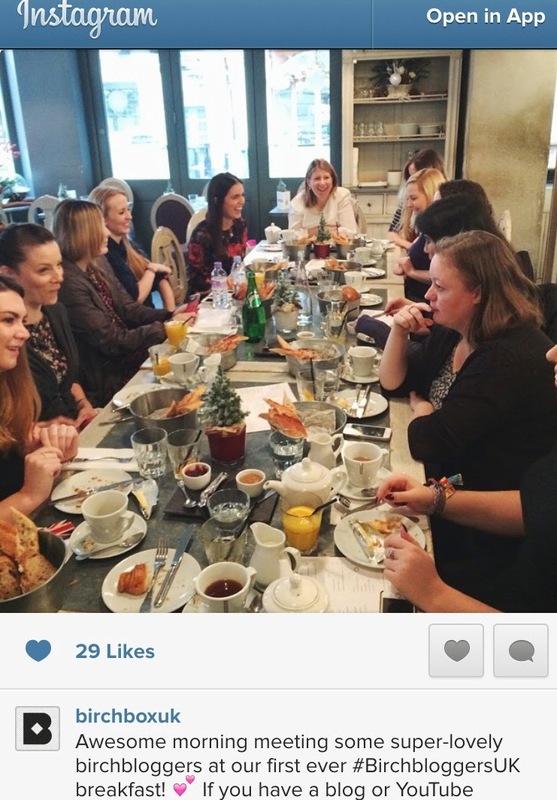 I hope you do more blogger events in the future. In my next blog post I will be blogging about everything that I got in my goody bag.